A VOB file is file container format which DVDs use. But for most commercial DVDs, they all use copyright protection, which may result in an error to copy the file to another location. Therefore, in order to play VOB files on Window 10, the media players with decryption function could be listed here. Besides, just as mentioned above, the VOB files are based on MPEG-2 stream, so a media player with MPEG-2 codec can play the VOB files freely. If you are searching for VOB file players on Window 10, you are in the right place. Usually, a file with the .VOB file extension is stored in the VIDEO_TS folder at the root of the DVD, which contains video, audio, as well as movie-related content like subtitles and menus. Actually, you can always regard the VOB file as an MPEG file which includes additional data stored on a DVD disc which could be played by media players with MPEG-2 codec. Also VOB files contain the movie data from a DVD, so it is very essential to a DVD and could be taken from the disc to make a copy of the movie. On the contrary, you can also burn the VOB files back to the disc to play the videos on a DVD player. But, as we have discussed above,for most commercial DVDs, they all use copyright protection, which may result in an error to copy the file to another location. The first solution listed here is to use Leawo Blu-ray Player to play VOB files on Windows 10. 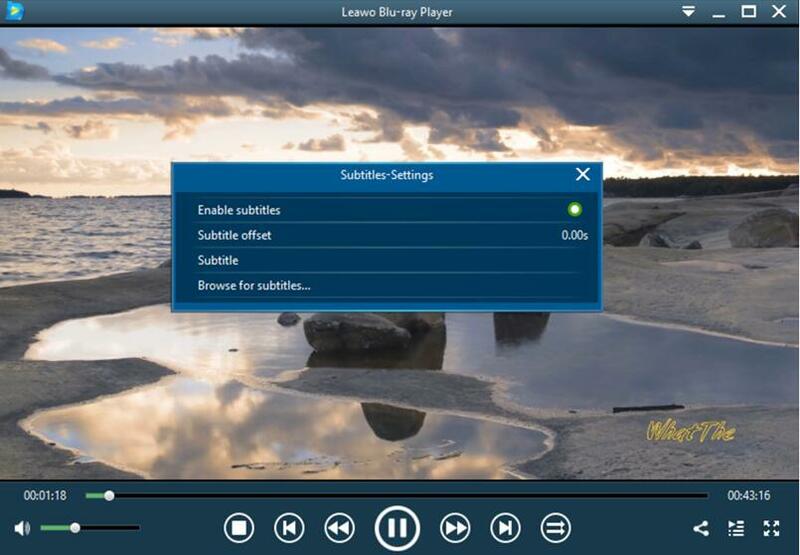 As a 100% free and 6-in-1 media player software, Leawo Blu-ray Player contains all media playback solutions you need for your leisure entertainment, including VOB, Blu-ray, DVD, CD, HD (4K), MPEG, WMV and so on. With advanced image and audio processing technology, Leawo Free Blu-ray Player software could provide you quality-lossless image for even 4K video, stereo audio enjoyment, all regions free DVD decryption and user-oriented playback control. Furthermore, within Leawo Blu-ray Player, you could obtain the personalized settings according to your preference and all the settings could be done automatically. In the following, I will list the detailed tutorial. Step 2. 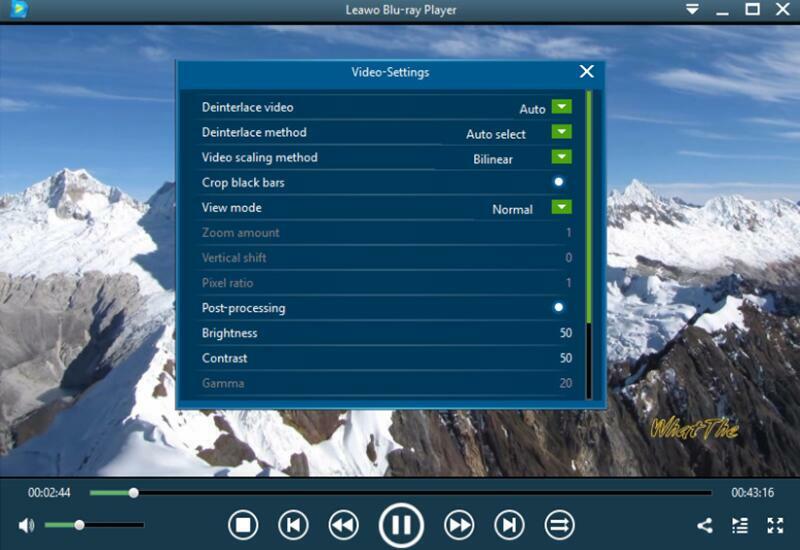 Enter the main interface and load the Blu-ray video on the computer by clicking the respective button on the home interface. Click the square tagged with the name of your Blu-ray/DVD drive to play the disc you have inserted into the corresponding drive, and click the green square to open a file on your computer. When you have imported the Blu-ray movie, you can see the loaded Blu-ray movie on the playlist. Step 3. Set subtitles. After loading the VOB files, it will be played automatically. During the playback, you can move mouse to the title area. Then you could see 4 icons, the first of which is for subtitles setting. Click on it and it will call out the subtitles settings panel. Step 4. Set video and audio parameters. Click the “Videos” icon on the top-let corner, or right click on the main interface and then choose “Videos” option to enter the “Video Settings” panel. As the same, you can click “Audio” icon on the upper-left corner to DIY the audio output effects. The editing features of Leawo Blu-ray Player could allow you to obtain a customized video and will give you more special watching experience. 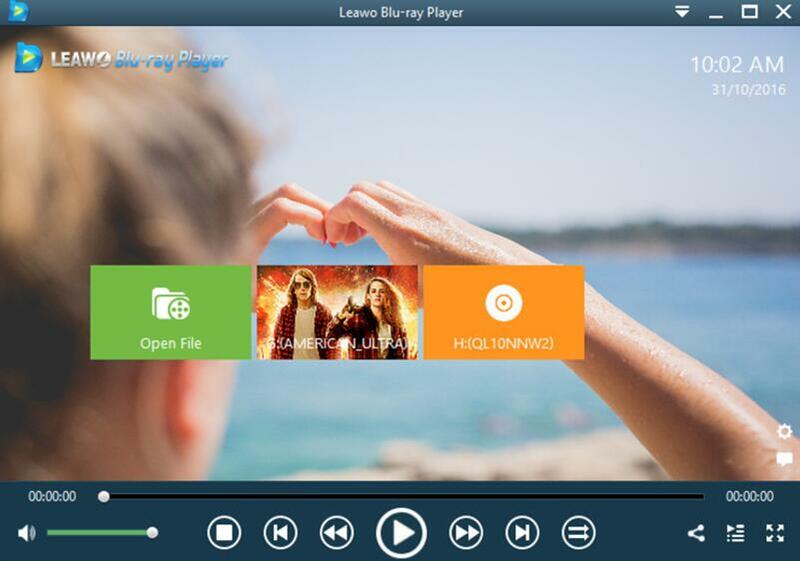 Besides Leawo Blu-ray Player, you can use VLC Player to play VOB files which is also is a free and open source media player. The tutorials will be listed below. Step 1. Download VLC and install it on your computer. Step 2. Run the VLC Media Player, enter the main interface and click “Media” option at the top left corner. Step 3. 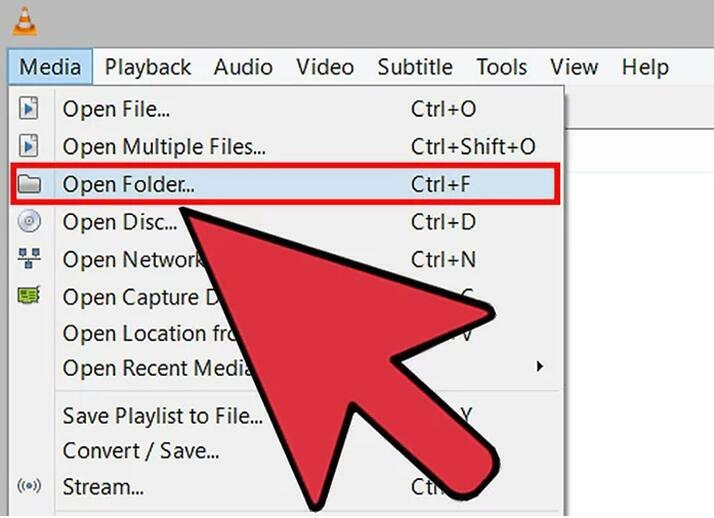 Select “Open Folder” to open the VIDEO_TS folder that contains the VOB files. Step 4. 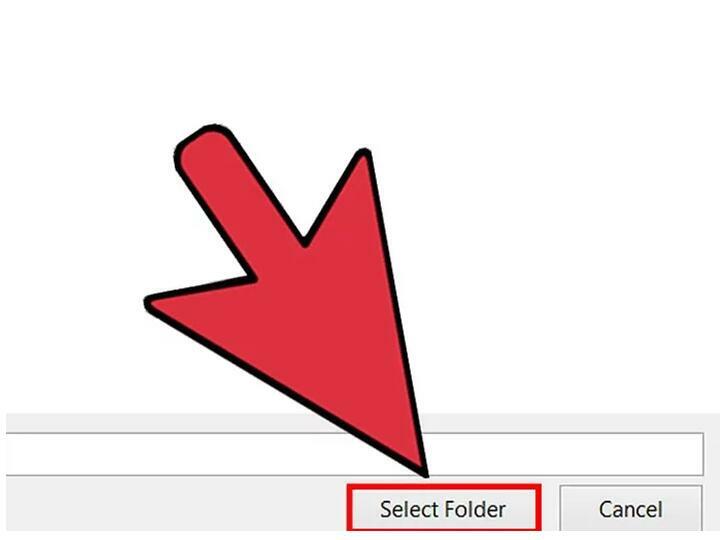 Browse for the folder contains VOB files and finally select it. And then VLC player will play the video after opening the folder. 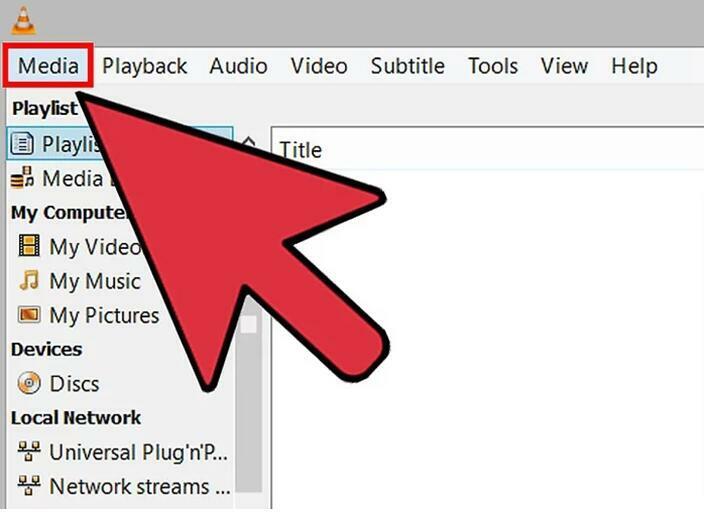 Along with what has mentioned above, you can use Media Player 12 to open VOB files on Windows 10. The instructions on how to play VOB files on Windows 10 with Windows Media Player 12 are identical to the tutorial of VLC. But pay attention here, sometimes you may encounter that Windows Media Player can’t play VOB files because the content requires a codec. By default, the codec could update and download automatically. You can still refer to the following steps on enabling automatic download and update of codecs. Open Windows Media Player, click “Tools”, “Options”, “Player”, and then select “Download codecs automatically”. When it is done, the required codecs for the VOB files will be downloaded automatically. Or you can download a codec from the free-codec website to upgrade your Windows Media Player. Finally, you can restart Windows Media Player, and then it could open VOB files on Windows 10. By referring to the above solutions on how to play VOB files on Windows 10, now you must be familiar with the detailed instructions. Leawo Blu-ray Player could be your first choice while you are searching for the appropriate media players due to its comprehensive features. However, VLC and Windows Media Player could also be listed according to your preference.